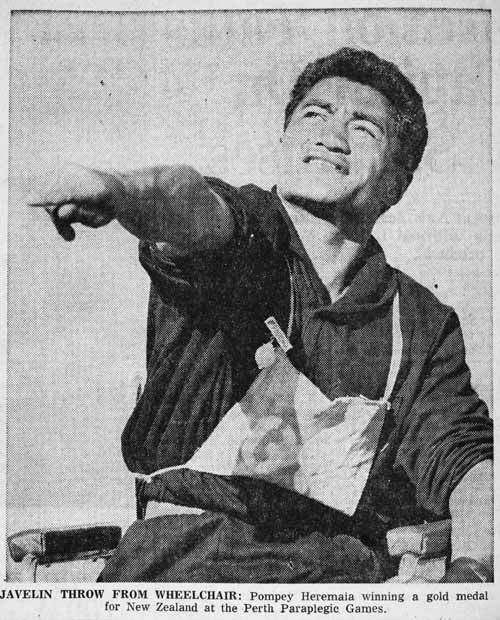 Pompey Heremaia throws the javelin at the Perth Commonwealth Paraplegic Games in 1962. Heremaia, the sole New Zealand representative at the games, won gold medals in the javelin and in snooker. Like Heremaia, many disabled athletes have taken a range of sports up to a competitive level.